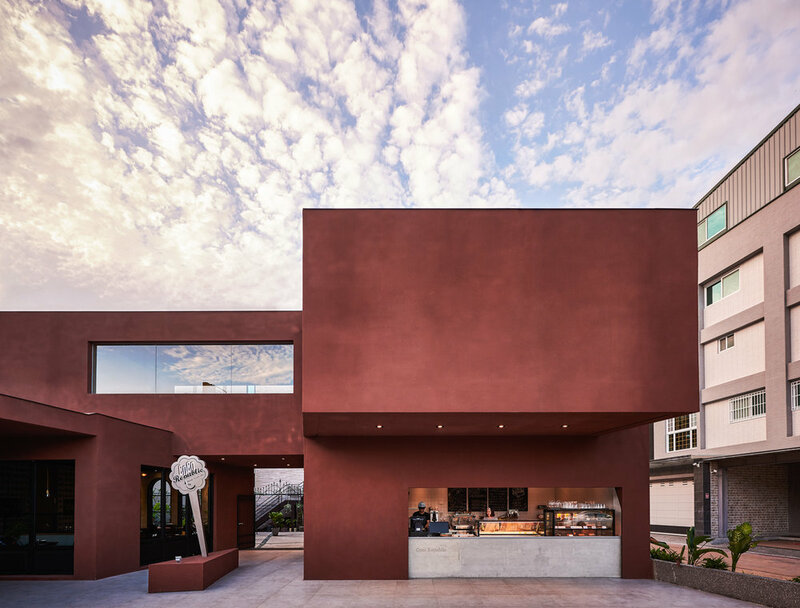 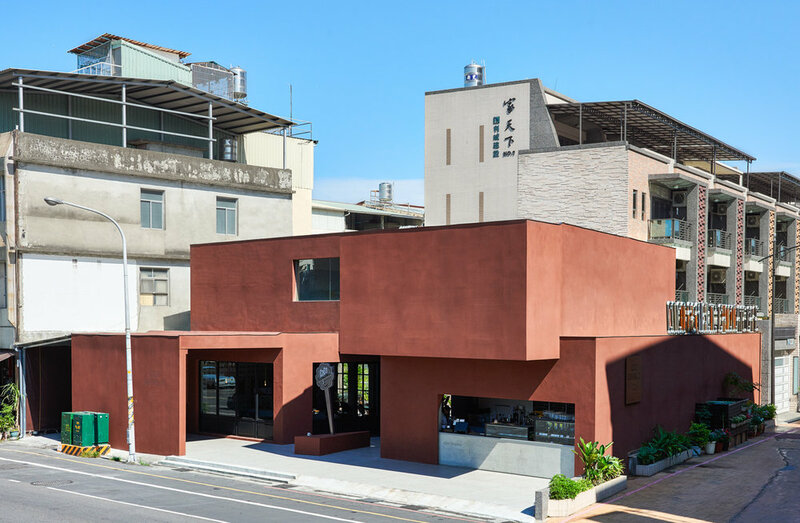 A dreamlike scene set in reality, this two-story building is a fusion restaurant in Pingtung that makes chocolate ganache. 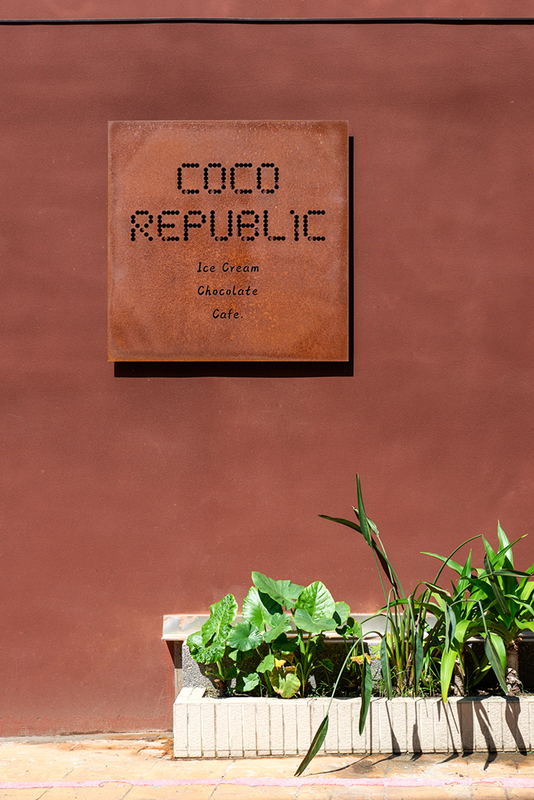 Made to look like chocolates stacked upon one another, the entrance leaves a delectable trace, the fork lifting the delicious sign up cleverly serving as a resting area for guest waiting for their desserts, while special paint gave the outer walls the texture of cocoa powder. 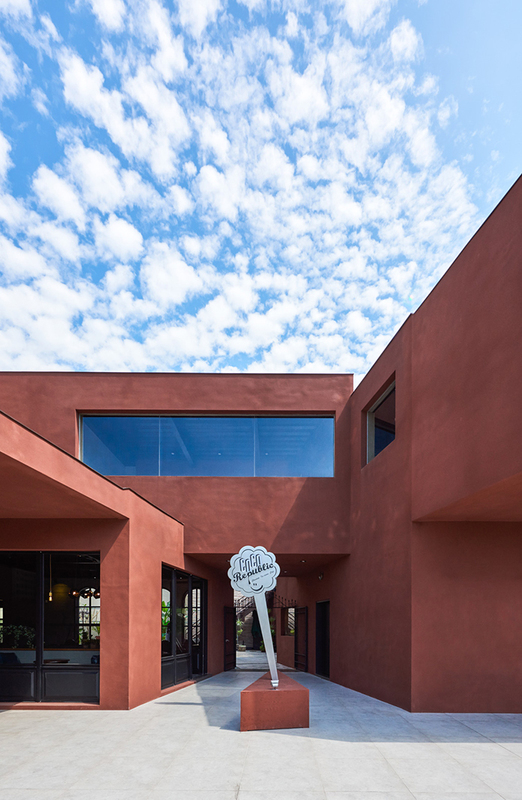 Coupled with unconventional materials such as faux rust boards and metal pipes, the building amazes even from afar. 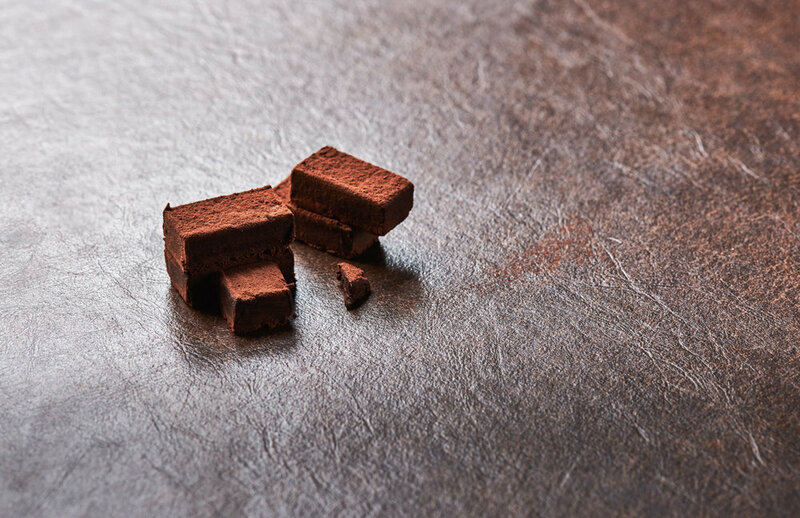 Silky as chocolate, it invades the senses and sweeps your taste buds away with its bittersweet taste. 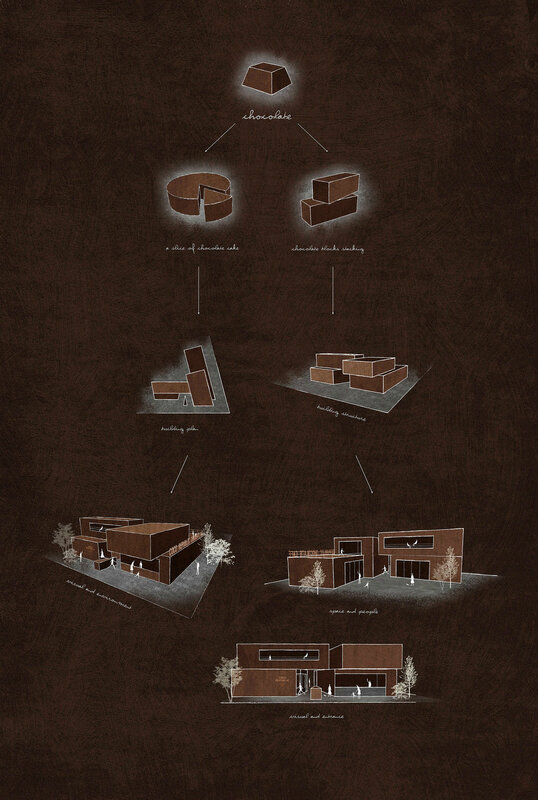 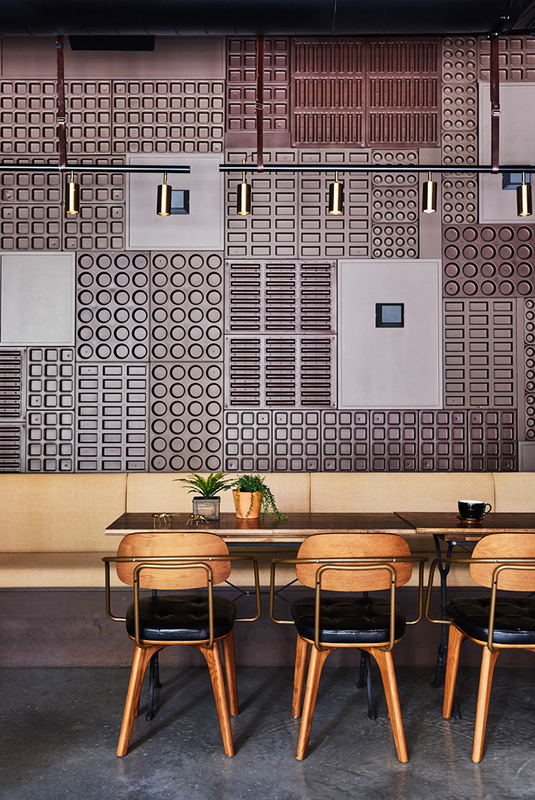 Dividing up the chocolate cube, the inner space is sectioned into mismatched dining areas of different tones, deliberately leaving 50% of the space to allow a smooth flow of human traffic and create a comfortable eating environment. 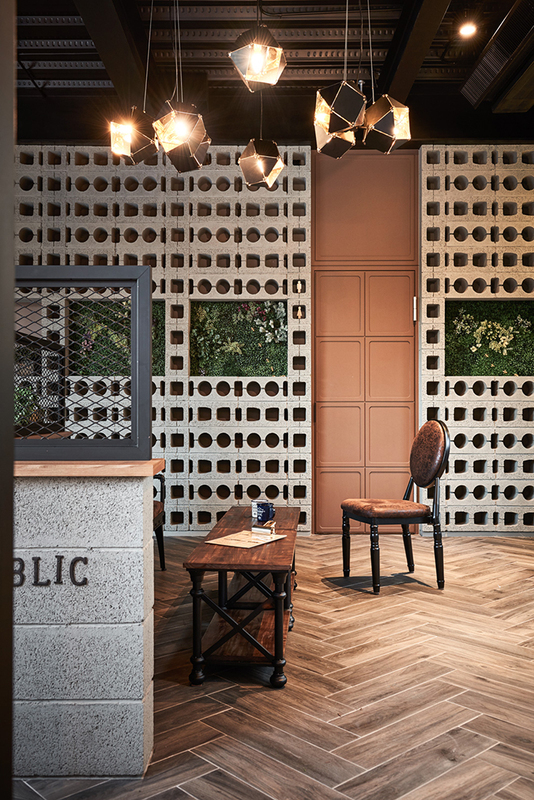 Lines and crevices crisscross into raised squares. 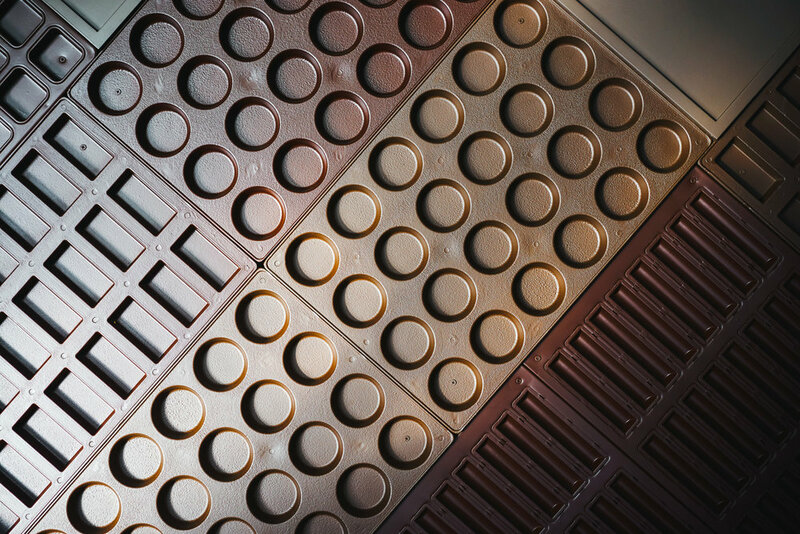 Imagine that you're standing on a chocolate brick, enveloped by a chocolate world! 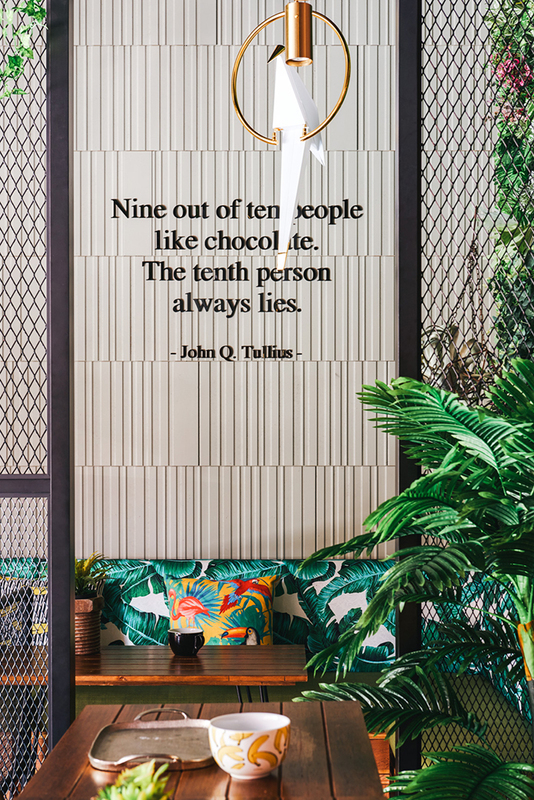 We wanted to create a feeling of being surrounded by chocolate, so we added a lot of cocoa elements to the indoor dining area, using design techniques to tell different stories in each space. 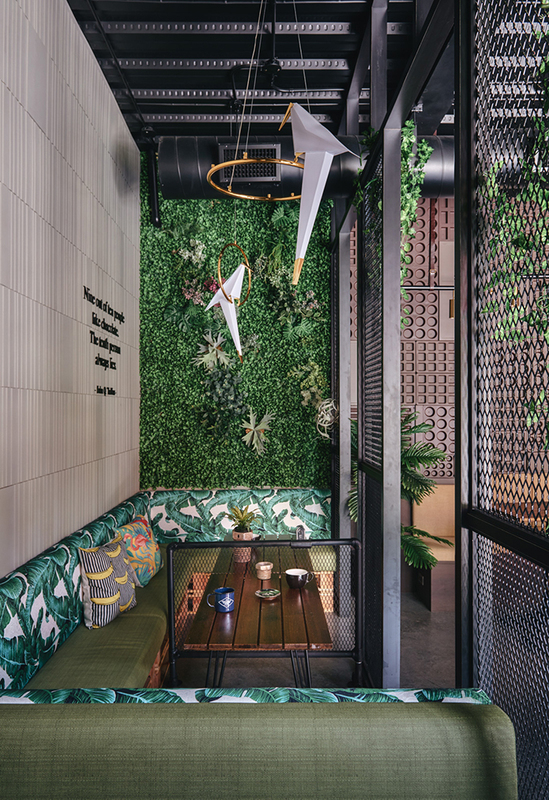 For example, in one semi- open boxed area, banana leaf patterns and green walls imitate the tropical rainforests in which cocoa beans grow. 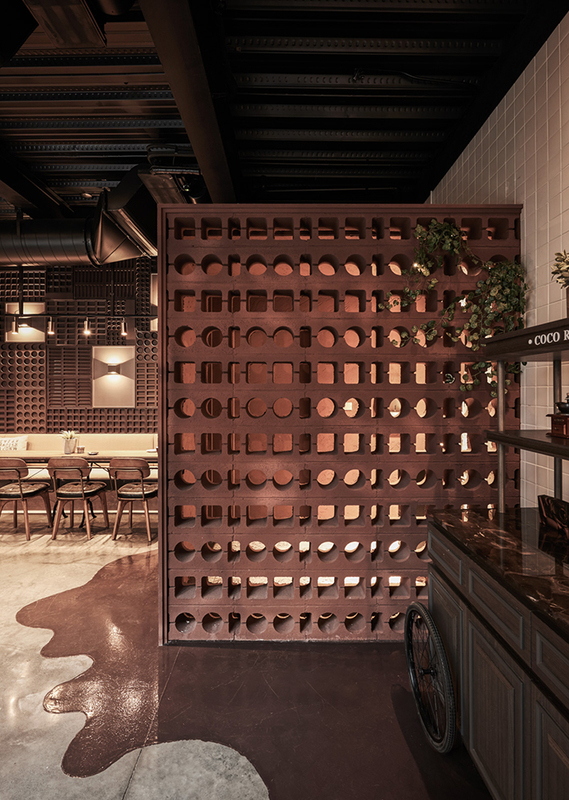 The space incorporated many designs with a mix and match of materials, such as using black metal pieces and metal nets to extend the 3D wall made with chocolate-shaped molds. 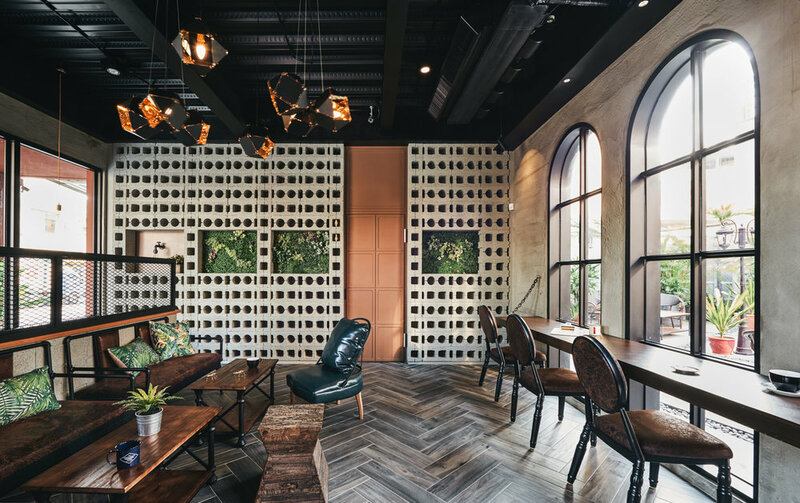 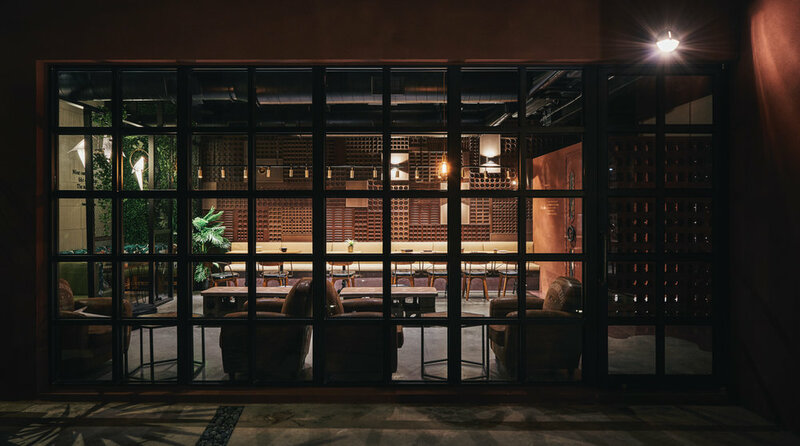 Corresponding it is a large window that, through the mosaic and transparent nature of glass, not only brings in the warm brightness of southern Taiwan, but also shows a view of the greenery outside, creating a dining atmosphere of light industrial style merged with a tropical flair. 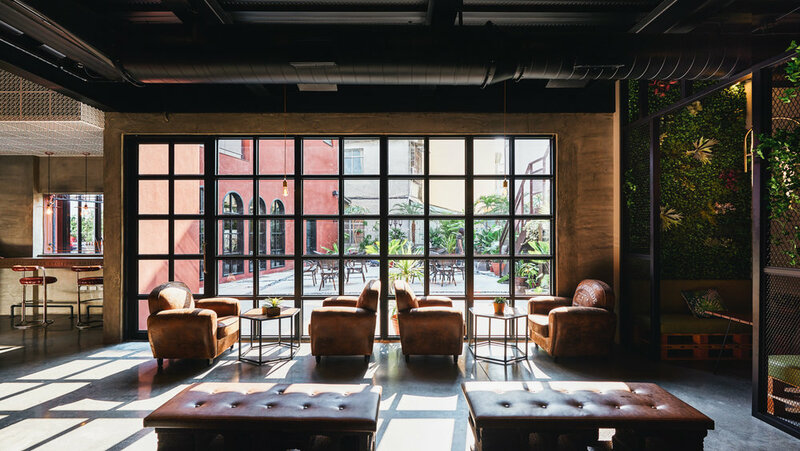 Bar seating by the window was added to create some change to the layout. 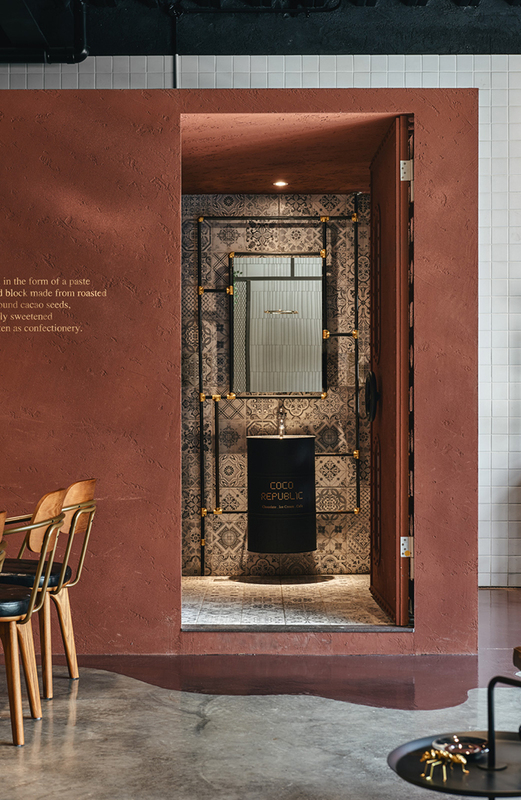 Like cocoa and white fillings encased by rich black chocolate, the white draining board material connects layout of the counter and aisles from the ceiling. 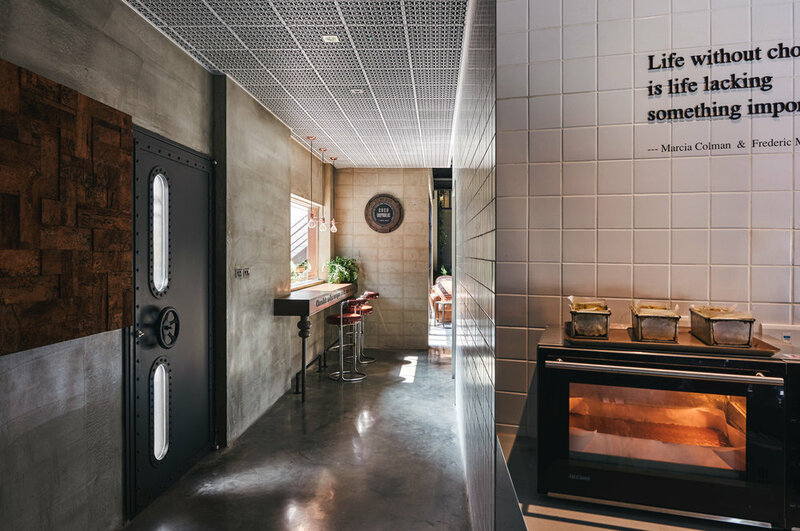 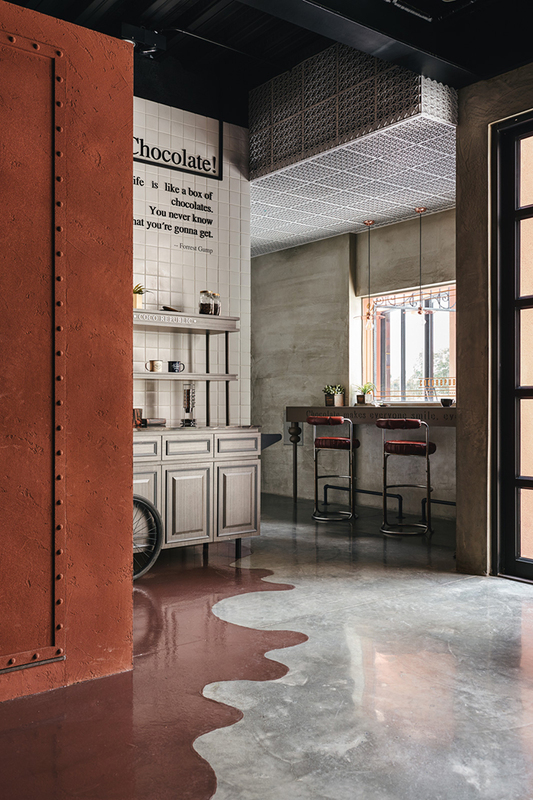 Whether it's the imagery of melting chocolate, the use of soft furnishings, vintage tiles and translucent brick walls in the restrooms, or the quirky way of how someone seemed to have taken a bite out of the industrial container, the whole place is full of chocolate themes, forming unique outlines. 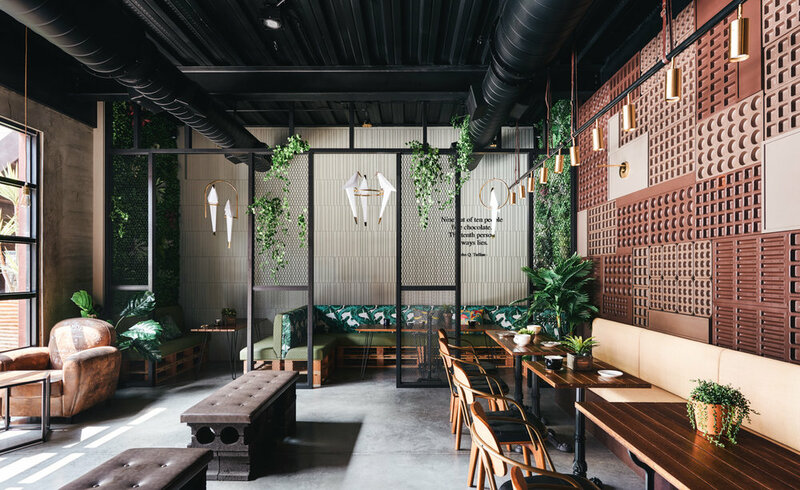 We embedded many surprises among the bold design, letting the rich texture dance on our tongues, having enjoyment spread through the senses as we engage our palette, not just connecting food with the environment, but also displaying the uniqueness of the commercial space.